Giving back to the Charleston community is imperative to Low Country Laundry & Dry Cleaners. Starting in the Fall and each month following, it will choose a non-profit to donate a percentage of sales. The first recipient in September will be My Sister’s House that provides services, programs and resources to empower domestic violence victims and their children to live free from abuse. Other non-profit organizations interested in being the featured monthly recipient, can email info@LowCountryLaundry.com for availability. Founded in 1980, My Sister’s House is the only shelter-based program serving domestic violence victims in Berkeley, Charleston and Dorchester counties. The money raised will be used in a variety of ways to continue to help women and children live violence-free by providing 24-hour crisis line and shelter, deposits on new safe apartments, children’s clothing for school, legal help, counseling and much more. For additional information, visit www.mysistershouse.org. Founded in 2001, Low Country Laundry & Dry Cleaners is a full service laundry and dry cleaner offering same day cleaning, free pick-up and delivery as well as three convenient Charleston locations. Low Country Laundry & Dry Cleaners also services 46 hotels, over 20 restaurants, and 6 hospitals plus commercial and residential accounts 6 days a week. In addition to wash/dry/fold and dry cleaning services, Low Country Laundry & Dry Cleaners handles everything from draperies and comforters to leather, suede and fur as well as bridal gown pressing, cleaning, preservation and restoration. 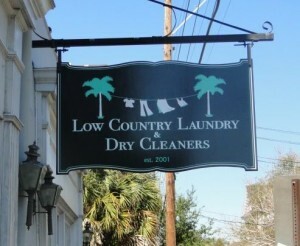 Low Country Laundry & Dry Cleaners strives to provide the best customer service and overall quality available. Each year, Low Country Laundry & Dry Cleaners clean out all of the clothing that has not been picked up by customers in over a year. From Jul 20 at 7:30am to Jul 25 at 6:30pm, the unclaimed clothes will be on the racks in the front lobby of the downtown location at 107 Rutledge Avenue in West Ashley at South Windermere Shopping Center. Shoppers simply come in and look at the available clothing that is already cleaned, pressed, bagged and on hangers. 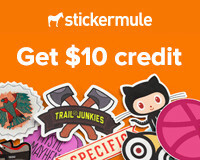 To purchase, patrons pay just the cleaning fees originally on the ticket. Founded in 2001, Low Country Laundry & Dry Cleaners is a full service dry cleaner and laundry service with free pick-up and delivery as well as three convenient Charleston locations. Low Country Laundry & Dry Cleaners also services 46 hotels, over 20 restaurants, and 6 hospitals plus commercial and residential accounts 6 days a week. In addition to wash/dry/fold and dry cleaning services, Low Country Laundry & Dry Cleaners handles everything from draperies and comforters to leather, suede and fur as well as bridal gown pressing, cleaning and restoration. Low Country Laundry & Dry Cleaners strives to provide the best customer service and overall quality available. The biker community is rallying together to support My Sister’s House with on June 23rd for a seven stop motorcycle ride. With the help from Old Coots on Scoots, Charleston Chapter 70, local bars and businesses, attendance for the ride is anticipated to be over 300 riders. There will also be an after party event at Main Street Bar & Grill in Summerville featuring food & live music, prize drawings, silent auction, bike Wash, and bike show. Registration starts at Low Country Harley Davidson on Dorchester Rd. in N. Charleston at 10:30am with last bike out by 12:30pm. Price for ride: $15 per rider, $10 per passenger or $10 for non riders at the door and includes dinner and live music. All proceeds from the ride will be donated to My Sister’s House, Inc. Established in 1980, My Sister’s House is a 501-3c non-profit organization that provides services to women and children courageously dealing with domestic violence in order to prosper past their abuse. A temporary shelter is operated by the organization that houses up to 36 women and children who suffer abuse in the Charleston, Berkeley, and Dorchester counties in South Carolina. As South Carolina currently ranks #2 in the nation for the number of women murdered by men (95% of those are domestic violence related homicides), My Sister’s House, Inc.’s services are greatly needed in our community. For more information about the ride, how to volunteer or become a sponsor please visit www.brothershelpingsisters.com. For additional information about My Sister’s House, visit www.mysistershouse.org. My Sister’s House presents the 4th Annual Bubbly and Brew sponsored by Lucey Mortgage Corporation on Friday, September 28th from 7-11pm at Harborside East in Mount Pleasant. Guests will dine on tasty food selections from Home Team BBQ, High Thyme Cuisine, Rue de Jean, Long Island Cafe, The Glass Onion, Kudzu Bakery and more as well as sip on champagne, wine, and beers from local brewers. Additionally, there will be a live and silent auction plus live music from party band Love Butter. Tickets are $60 in advance or $75 at the door. Founded in 1980, My Sister’s House is the only shelter-based program serving domestic violence victims in Berkeley, Charleston and Dorchester counties. The money raised will be used in a variety of ways to continue to help women and children live violence-free by providing 24-hour crisis line and shelter, deposits on new safe apartments, children’s clothing for school, legal help, counseling and much more. For more information about the Bubbly and Brew event or to purchase tickets, visit www.bubblyandbrew.com. 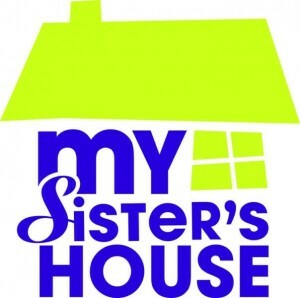 For additional information about My Sister’s House, visit www.mysistershouse.org.